Swordfish is a semioily fish, that is depending on the time of year the swordfish may be white or blue by reducing or increasing its content in fat. It provides a quantity in proteins of high biological value, although in lower content than other fish, however this fish contains more vitamins than the rest (vitamin A, B3, B6, B9 and B12) and minerals (iron, phosphorus, magnesium, potassium and sodium). Next we show a different and tasty way of eating the typical swordfish. 200 gr of smoked swordfish fillets. First you take half a liter of water in a saucepan with salt and leave to boil. Once water is boiling, you pour the rice and then you leave it for 20 minutes until the rice is cooked. Then, you cut the fish fillets into strips and next you make rolls with them, leaving space on the inside to be able to then fill it. You chop all the vegetables of mall pieces. Next, you take a bit of oil in the frying pan and you pour the vegetables, so that they fry. Then you pour the rice to the frying pan so it fry lightly for a few minutes. Next, you cut the salmon into small pieces. Finally, you move away the frying pan from the stove burner and then you add the salmon with a little of salt and pepper. Once the mixture is carried out you must fill the fish rolls. 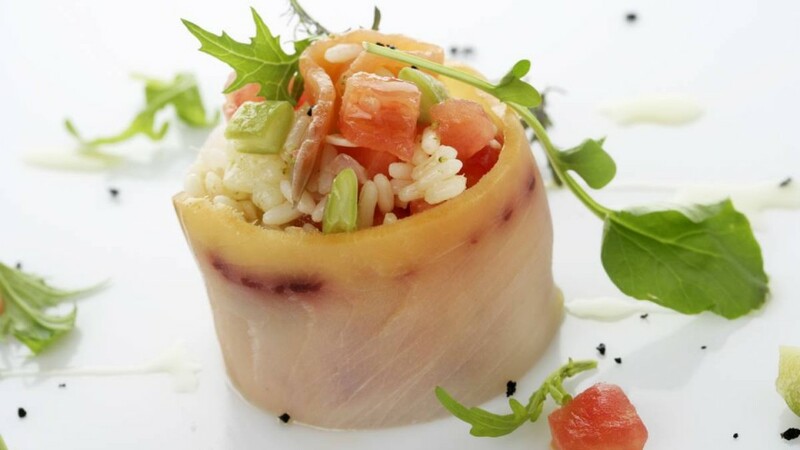 We already have our healthy dish ready and perfect to eat incoming and surprise your guests! Mediterranean Diet, Mediterranean Recipes diet, health, healthy, healthy diet, healthy habits, healthy recipes, mediterranean diet, mediterranean recipes. permalink. Sticks of oats and banana: A healthy breakfast!